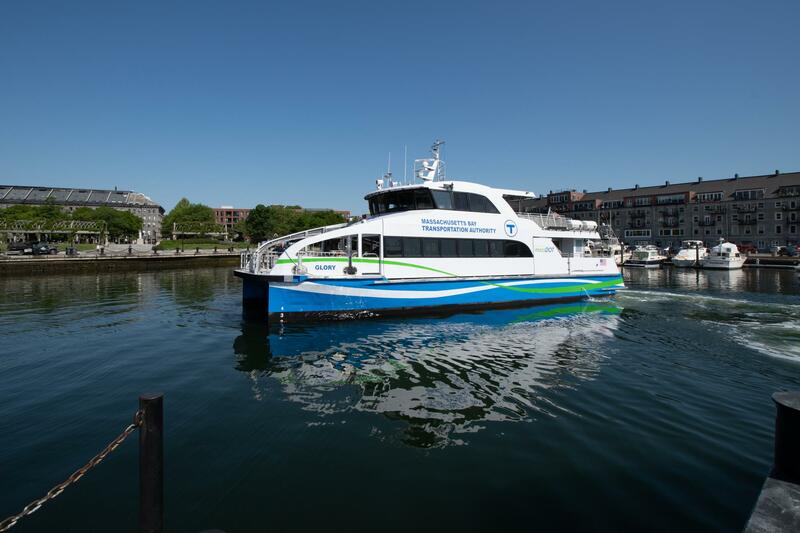 The MBTA ferry system includes 3 routes and 7 docks, which serve the Charlestown Navy Yard, Long Wharf, Logan International Airport, Hingham, Hull, and Rowes Wharf. 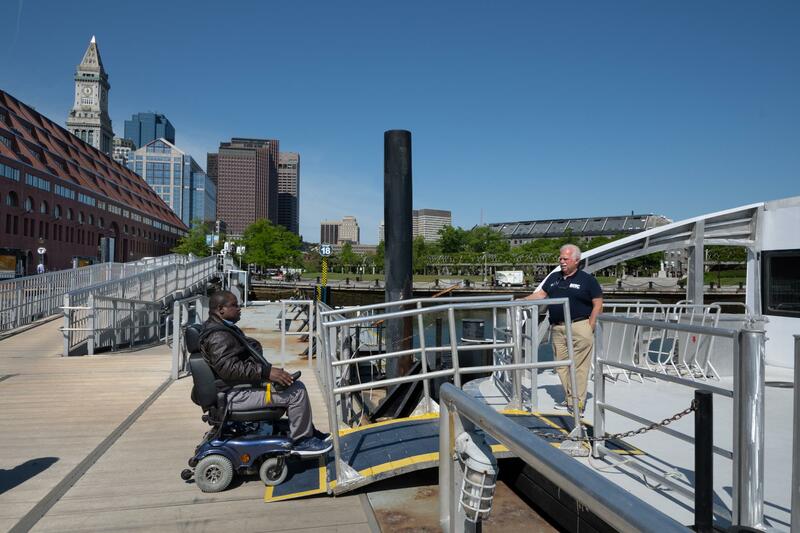 All docks and boats are accessible to seniors and people with disabilities. Ferry crew are trained to assist with boarding and exiting at each terminal. 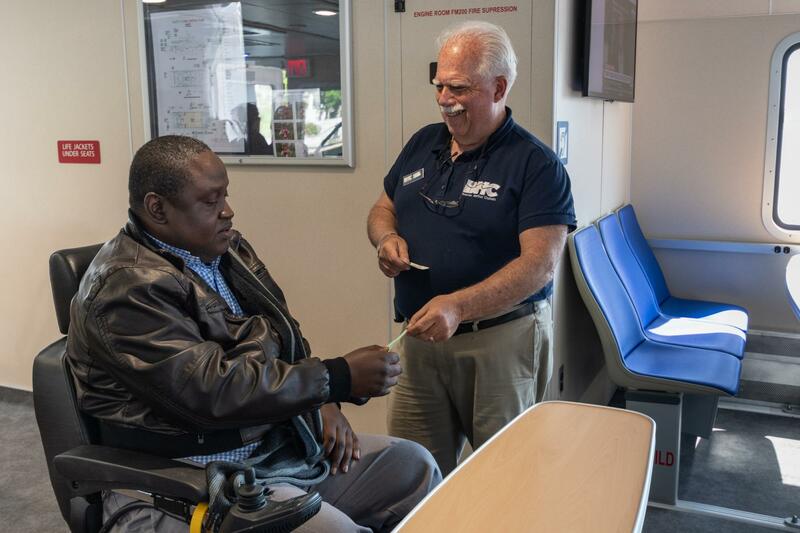 Seniors and people with disabilities may qualify for reduced ferry fares. To receive a Senior CharlieCard, a Transportation Access Pass (TAP), or a Blind Access Card, you must apply through the CharlieCard Store. 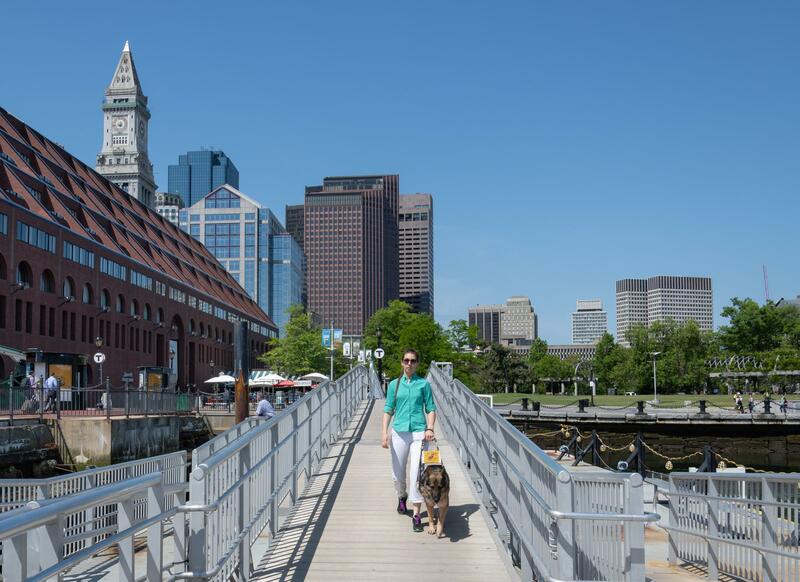 MBTA docks are accessible, floating docks. It is safe to wait on the dock until a crew member tells you it’s okay to board. 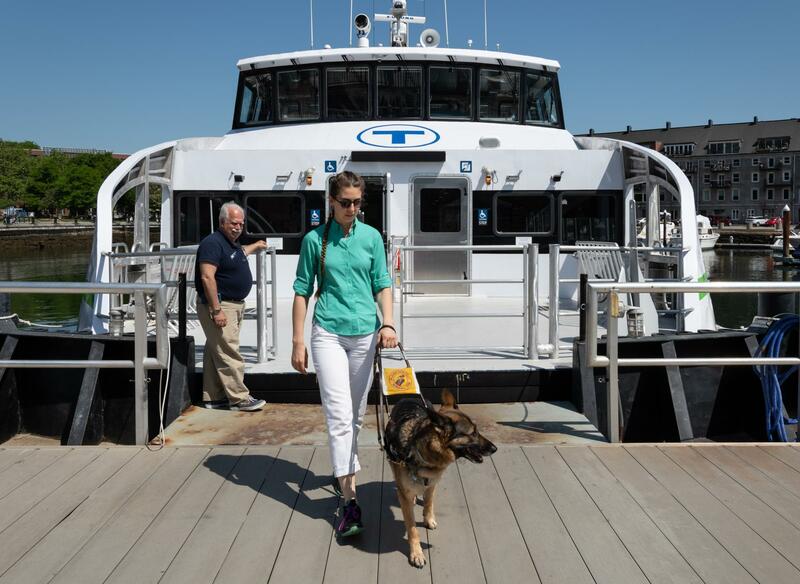 When boarding the Charlestown ferry, wait at the top of the ramp until a crew member tells you it’s safe to proceed onto the dock. If you use a wheeled mobility device, a crew member will set up a bridge plate to span the gap between the dock and the boat. Due to rising and falling tides, there may be significant vertical gaps during certain times of the day. A crew member will tell you when it’s safe to board. A member of the crew will verify your fare on board. Though you can pay your fare in cash on board, it is recommended that you purchase your pass before you board at a fare vending machine or with the mTicket app. Priority seating is available on all ferries. 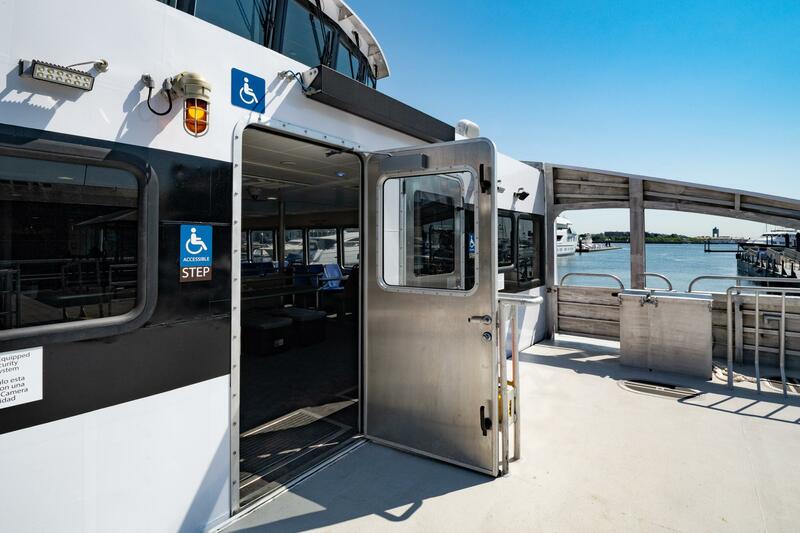 Designated seating areas for customers who use wheeled mobility devices are available on some ferries. Customers are expected to yield priority seats to seniors and people with disabilities, but cannot be forced to move. Each stop along the route will be announced by an automated system or by a member of the ferry crew. Upcoming stops may also be displayed on digital signs on board the ferry. 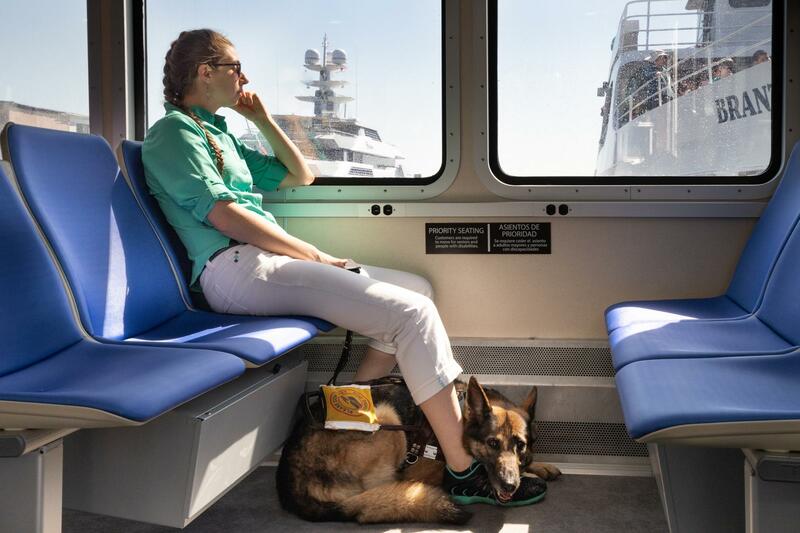 You do not need to request your stop on an MBTA ferry. If you use a wheeled mobility device, a crew member will set up a bridge plate to span the gap between the dock and the boat. They will tell you when it’s safe to exit.